Imagine yourself in the shoes of a lone scientist crash-landing on an unknown alien planet full of dangers to avoid and secrets to be uncovered. Building useful things is your only hope for survival. Use your wit and the hi-tech tools salvaged from the ship-wreck. 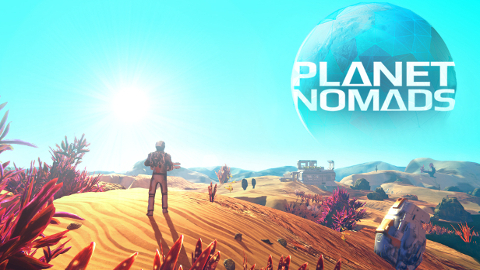 Planet Nomads is a sci-fi sandbox game taking place on procedurally generated alien planets. 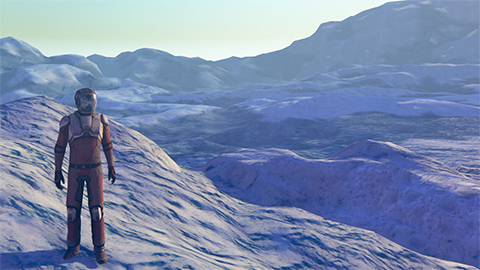 It begins with an astronaut crash-landing on a beautiful but unforgiving unexplored planet with nothing but a few tools and determination. 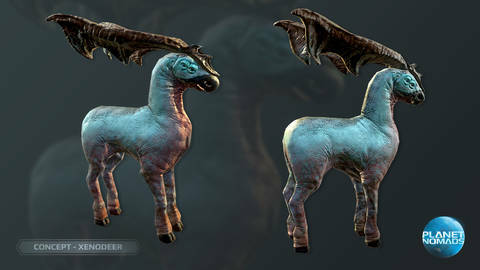 The aim of the game is to build useful things that keep you alive and help you explore more of your surrounding. The final goal is to build a spaceship to enable space travel. How you get there is fully up to you. 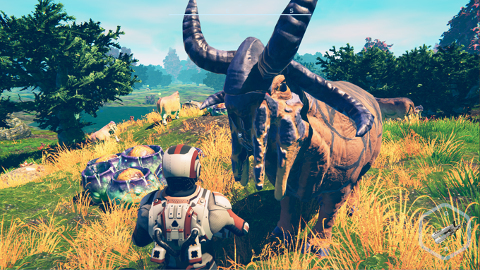 Establish bases and mining operations or roam the world in a massive planetary crawler. Build to Survive. Explore. On Real Planets. In April.